Malcolm Arnold had been the Principal trumpet in the London Philharmonic Orchestra before he retired from playing to concentrate on composing and conducting. 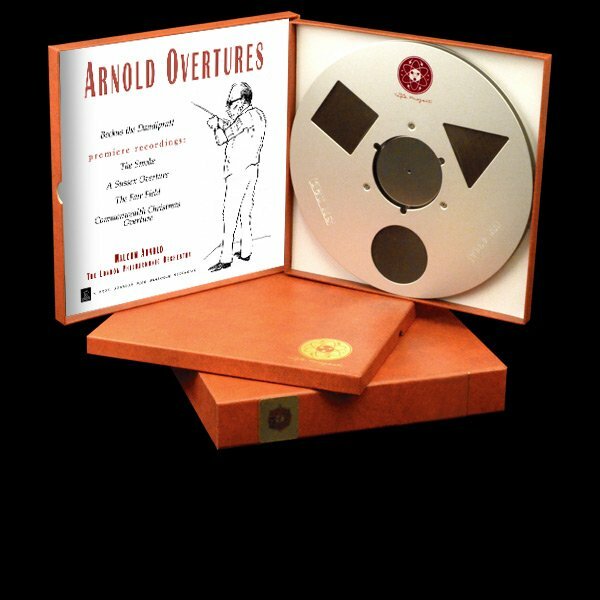 Thus when the sessions were scheduled for this recording of Arnold conducting his old band in his own compositions, excitement in the orchestra ran high. People who hadn’t been around in years started showing up. The orchestra came to play, and play they did. Luckily for us, Keith Johnson was there with his custom recording equipment, along with producer J. Tamblyn Henderson to oversee the sessions. The gorgeous music, the inspired playing, and the legendary acoustics of Watford Town Hall were all captured on Keith’s focused-gap analog tape recorder. Those same tapes, played on that same tape machine, were the source for our version.